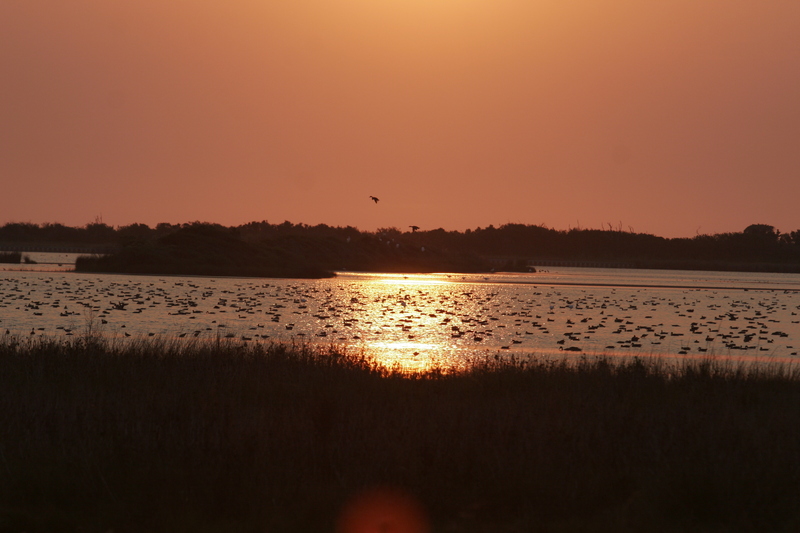 Pea Island National Wildlife Refuge is a great spot to visit during the winter months as evident by this gorgeous sound sunset photo taken by Ann Wood of Surf or Sound Realty. 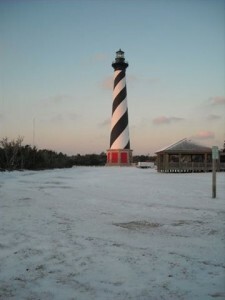 During and after the snowstorm of 2009, Surf or Sound Realty staff, friends and family members were out braving the cold and snapping gorgeous photos of the beach winter landscape. Surf or Sound Realty Salvo Office covered in snow! 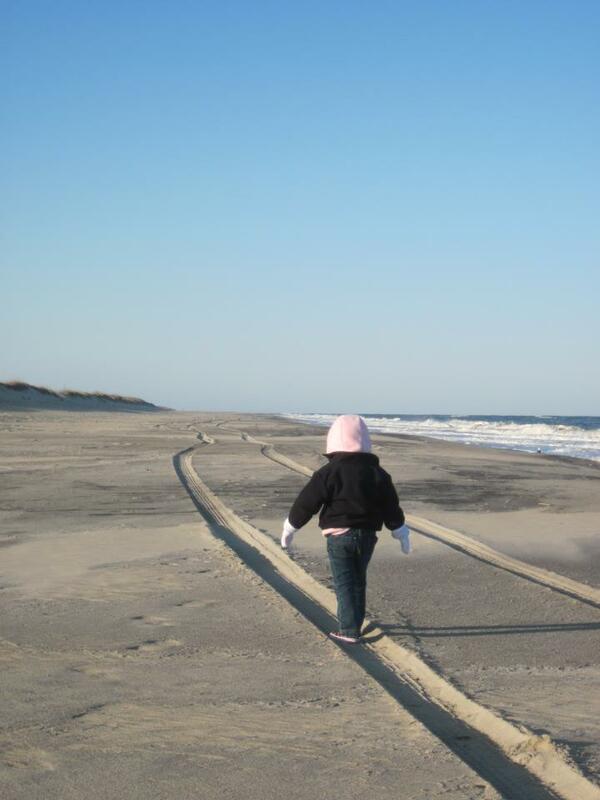 It is not something one who lives on Hatteras Island can experience every year. We can now say: It snowed on Hatteras Island in 2009 and we have the proof to back it up. 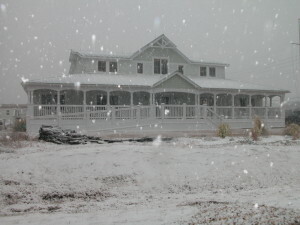 Photo taken by Joy Crist of Surf or Sound Realty. 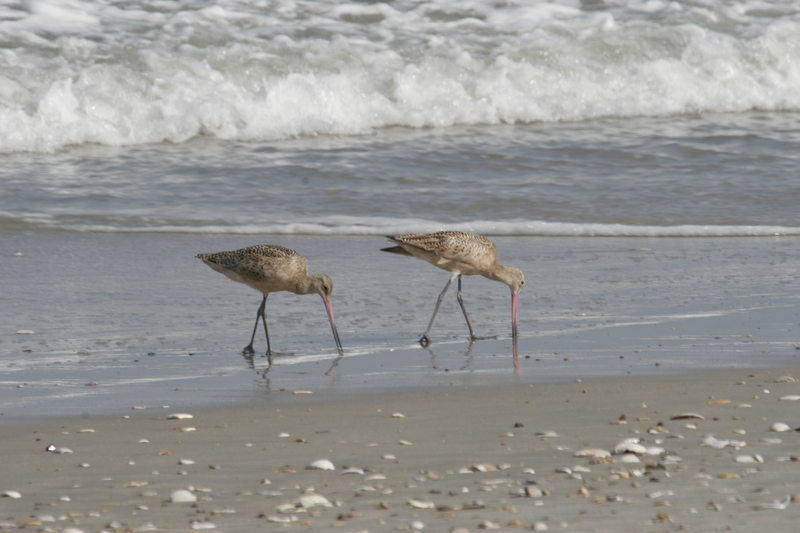 This time of year it is most likely that it will be just you and the nature on the beaches of Hatteras Island. 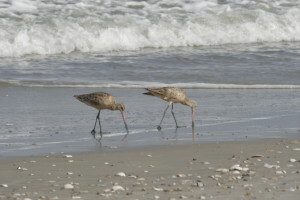 Bird watching and shell hunting are fun and relaxing ways to enjoy a winter day on the seashore. 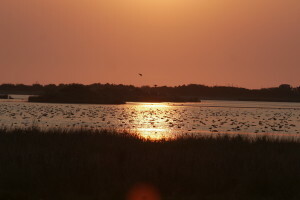 Photo taken by Ann Wood of Surf or Sound Realty.